[PDF] Analysis and Synthesis of Fault-Tolerant Control Systems | Free eBooks Download - EBOOKEE! Description: In recent years, control systems have become more sophisticated in order to meet increased performance and safety requirements for modern technological systems. Engineers are becoming more aware that conventional feedback control design for a complex system may result in unsatisfactory performance, or even instability, in the event of malfunctions in actuators, sensors or other system components. In order to circumvent such weaknesses, new approaches to control system design have emerged which can tolerate component malfunctions while maintaining acceptable stability and performance. These types of control systems are often known as fault-tolerant control systems (FTCS). More precisely, FTCS are control systems which possess the ability to accommodate component failure automatically. 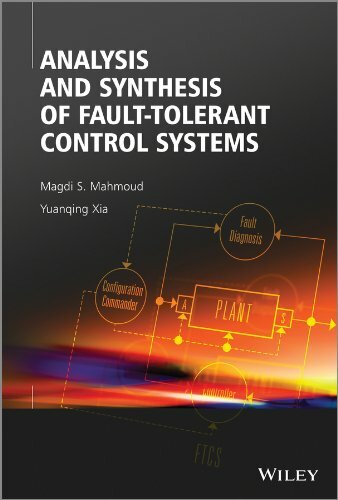 Analysis and Synthesis of Fault-Tolerant Control Systems comprehensively covers the analysis and synthesis methods of fault tolerant control systems. It unifies the methods for developing controllers and filters for a wide class of dynamical systems and reports on the recent technical advances in design methodologies. MATLABÂ® is used throughout the book, to demonstrate methods of analysis and design. Key features: â€¢ Provides advanced theoretical methods and typical practical applications â€¢ Provides access to a spectrum of control design methods applied to industrial systems â€¢ Includes case studies and illustrative examples â€¢ Contains end-of-chapter problems Analysis and Synthesis of Fault-Tolerant Control Systems is a comprehensive reference for researchers and practitioners working in this area, and is also a valuable source of information for graduates and senior undergraduates in control, mechanical, aerospace, electrical and mechatronics engineering departments. No comments for "[PDF] Analysis and Synthesis of Fault-Tolerant Control Systems".